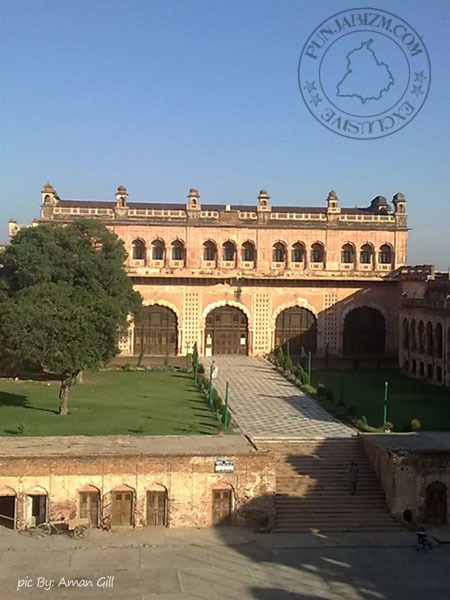 Patiala district is one of the erstwhile princely cities of Punjab. It is located in the south-eastern part of the state. Patiala city is the administrative headquarters of Patiala District, and was the capital of the premier princely state in the former Punjab Province of British India, headed by the Sidhu dynasty. Patiala is famous for its pagri (traditional headgear), paranda (tasselled tag for braiding hair), peg (Patiala Peg - a double or large peg of whiskey), and Jutti (traditional Punjabi footwear). Any serving of alcohol which is double than the normal serving, or unusually large, is referred to as the Patiala Peg. This term is understood in most parts of India. There are multiple stories behind this epithet, most related to the opulent and hedonistic lifestyle of one of the maharajas of Patiala - Maharaja Bhupinder Singh, who was a heavy drinker. Patiala is home town of many eminent personalities like cricketers Navjot Sidhu, Mohinder Amarnath, Reetinder Sodhi, Bollywood Stars Jimmy Shregill, Om Puri, Punjabi Singers Gurdas Mann & Harbhajan Mann, Jet Airways Chairman Naresh Goyal & Sq Ldr Rakesh Sharma, the first Indian in space. In 1763 Baba Ala Singh laid the foundation of the Patiala fort known as Qila Mubarak, around which the present city of Patiala developed. After the Third Battle of Panipat in 1761 in which the Marathas were defeated, the writ of the Afghans prevailed through out Punjab. It is at this stage that the rulers of Patiala began to acquire ensigns of royalty. Ahmad Shah Abdali bestowed upon Ala Singh furm and banner, and the title of Maharaja of Patiala. 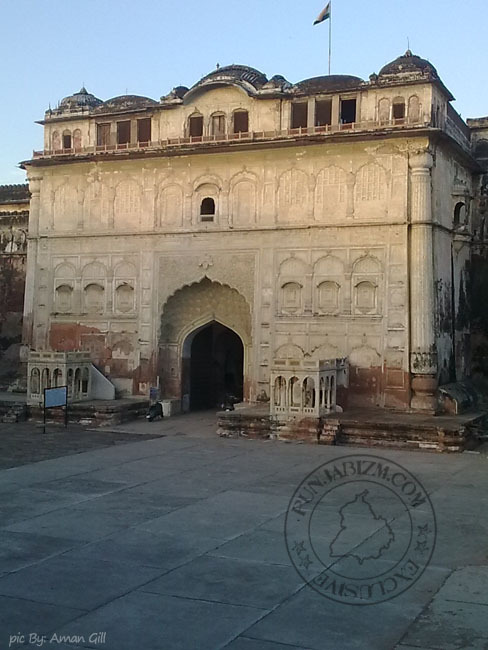 After his death, his grandson Amar Singh succeeded and received the title of Raja-I-Rajaan. He was also allowed to strike coins. After forty years of ceaseless struggle with the Mughals, Afghans and Marathas the borders of the Patiala state witnessed the blazing trails of Ranjit Singh in the north and of the British in the east. Bestowed with the grit and instinct of survival, making the right choice at the right time the Raja of Patiala entered into a treaty with the British against Ranjit Singh in 1808, thus becoming collaborators in the empire building process of the British in the sub-continent of India. The British treated the rulers of Patiala, such as Karam Singh, Narinder Singh, Mahendra Singh, Rajinder Singh, Bhupinder Singh and Yadvindra Singh with respect and dignity. Maharaja Bhupinder Singh (Reign - 1900 to 1938) gave Patiala a prominent place on the political map of India and in the field of international sports. This included his dog kennels and he and the Maharaja of Jind were equally interested in a range of dog breeds. His son Yadvendra Singh was the first Indian prince to sign the Instrument of Accession, thus facilitating the process of national integration after independence in 1947. In recognition of his services, he was appointed the Rajpramukh of the newly established state of Patiala and East Punjab States Union (PEPSU), from its founding in 1948 until its merger with Punjab in 1956. 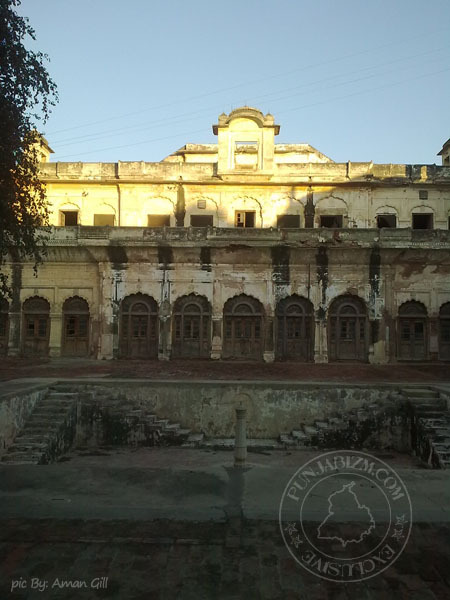 The downtown area of Patiala is Adalat Bazaar, which means 'the court corridor', because this was used as the administrative building by one of the caretakers, before the King had reached the age of majority. The Royal Family are Jatts of the Sidhu family. it lies between 29°49’ and 30°47’ north latitude, 75°58’ and 76°54' east longitude.